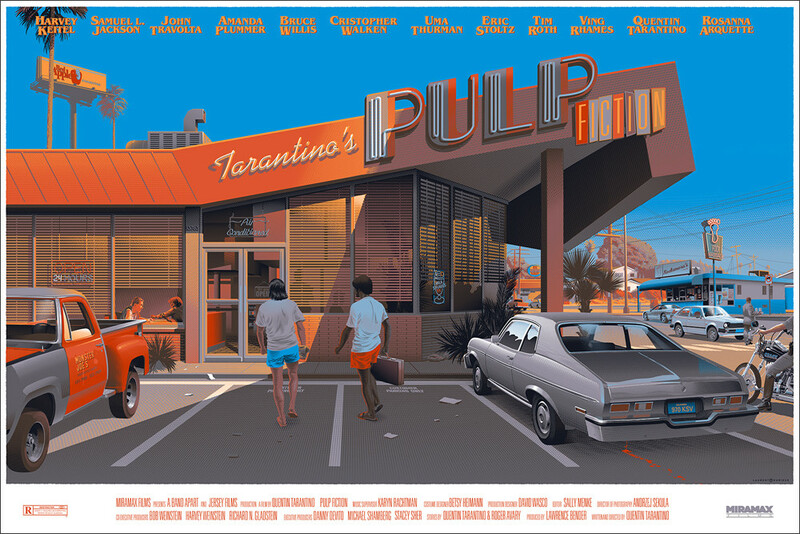 To celebrate Black Friday, and to help charity a bit (10% of proceeds to go the Sally Menke Fellowship), Mondo will release a reference-filled, timed-edition Pulp Fiction poster by Laurent Durieux. It’s a 24″ x 36″ screenprint for $60. It will be available starting Friday, November 28th, and it will run through Monday. There are also a number of records and merch items going up, check the image below. Visit Mondotees.com.